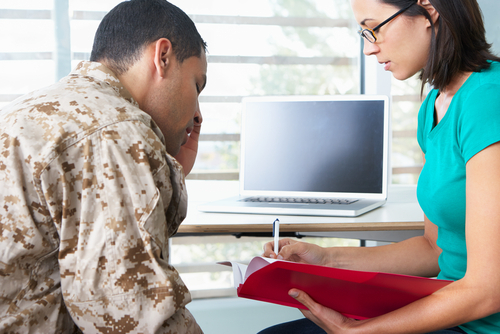 The University of Texas (UT) Health Science Center at San Antonio is establishing a new Military Health Institute (MHI), as announced by the president of the center, William L. Henrich, M.D., MACP. The new facility will conduct innovative medical research, health education, and clinical care, and will be working in collaboration with the military in order to improve both the health and quality of life for military, veterans, and families. The work of the new MHI will be based on resources from the military system in San Antonio, in collaboration with the Health Science Center, in order to create learning opportunities for medical students, residents, and fellows at the Health Science Center and San Antonio Military Health System (SAMHS). The new initiative will also benefit investigators at the center, staff from the SAMHS, the Department of Defense, the Veterans Administration, and the National Institutes of Health. The MHI may also offer clinical care to patients at the Health Science Center and in the SAMHS. “In addition, over the years, the Health Science Center has forged a strong and collaborative relationship with the region’s military medicine system and we play an important role in research, education, clinical care and community programs that benefit active-duty military personnel, veterans and their families. The MHI will further these strong relationships,” he added. 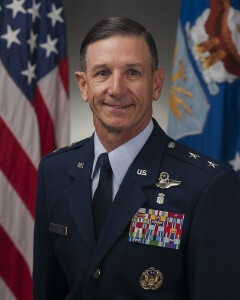 The president also announced that the retired Maj. Gen. Byron C. Hepburn, M.D., who served as a commander of the 59th Medical Wing in the Wilford Hall Ambulatory Surgical Center at the Joint Base San Antonio-Lackland, is going to be the inaugural director of the MHI, starting on October 1st. With a 38-year military career, Hepburn led the Air Force’s largest medical wing at the 59th Medical Wing, with 6,000 military, civilian, contract employees, residents and students. Prior to that, he worked as deputy surgeon general of the U.S. Air Force, where he led the activities of the Air Force Medical Service, a $5.1 billion integrated health care system comprised of 43,000 workers and 2.4 million beneficiaries, serving at 75 military facilities all over the world. The retired major and general graduated from the U.S. Air Force Academy with distinction and became one of the few pilot-physicians from the force. Dr. Hepburn graduated from the Uniformed Services University of Health Sciences School of Medicine in 1987 and completed a residency in family practice at Andrews AFB, Md., in 1990. At the UT Health Science Center, Dr. Hepburn is appointed as professor in the Department of Family and Community Medicine, assistant dean for military health in the School of Medicine, and associate vice president of the Health Science Center.